Nigel Farage is no Winston Churchill. But the man who led the Brexit campaign sees clearly the growing threat from the German dominated EU, just as Churchill warned of the growing threat from Hitler’s Germany. Most British people remain clueless. In fact, almost 50% of the electorate would gladly be subservient to Berlin, including former prime ministers, Tony Blair and John Major. Earlier this week the President of the European Commission, Jean Claude Juncker, gave his State of the Union speech to the European parliament. Amongst other things, he called for a strong European president with extensive powers, a strong finance minister with dictatorial powers over all 27-member nations, a stronger united military and a more aggressive foreign policy; all of this to begin immediately after Brexit is completed in March, 2019. This, remember, is a man who is at the head of the world’s most powerful economic system. It has a population roughly one and a half times that of the United States and a currency that is used by more people around the world than the US dollar. While the dollar keeps falling in value, the euro is rising, now at $1.20. This reflects growing confidence in the euro and declining confidence in the greenback. “After listening to more than an hour of Jean-Claude Juncker’s self-agrandising State of the Union speech Farage’s laser-guided attack took just seconds to dismantle almost every plan, proposal and pontification made by the former Luxembourg politician turned European Commission President. “Mr. 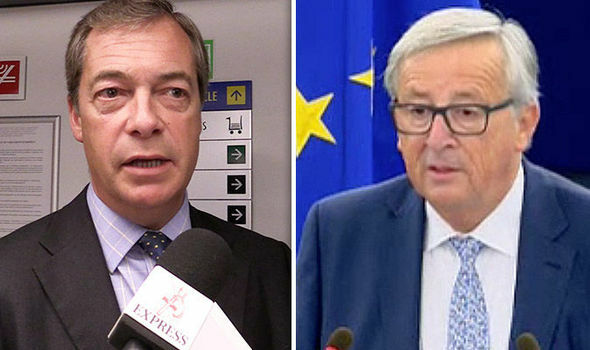 Farage was clearly appalled by Junker’s earlier claim that the EU could appoint pan-European ministers with unprecedented powers WITHOUT any form of electoral process.” (“Nigel Farage TERRIFIED at Juncker’s plan for UNDEMOCRATIC EU”, Daily Express, 9/13/17). Mr. Juncker’s speech does not mean that all is well in the Union, or that there is perfect harmony between member countries. Some of the former communist countries of Eastern Europe are at odds with Brussels over a number of issues, including migration. 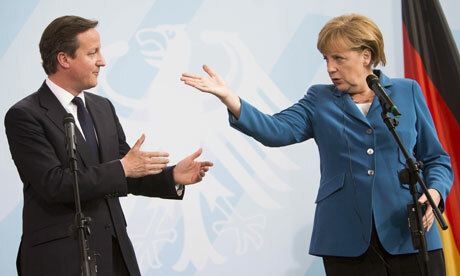 “European leaders are declaring the continent’s financial crisis to be over, but now a political one is fermenting. Europe has come a long way since the European Coal and Steel Community was formed 66 years ago, in 1951. Six years later, six countries signed the Treaty of Rome, which laid the foundation for the European Union. Those six countries eventually became 28. Following Brexit they are now at 27. A few more could leave over various issues. Perhaps they will get down to the biblical number ten, forming the final union of ten European nations that will be a future superpower. You can read about this revival of the Roman Empire in Revelation chapter 17. 66 years ago, only serious Bible students would have foreseen the EU becoming as powerful as it is. Turkey controls 900 mosques in Germany and feels free to say that a “liberal mosque” in Germany is “incompatible” with Islam. Can you imagine Germany offering Iraq, Syria and Egypt to build “200 new churches” to reconstruct the derelict and dispossessed Christian communities there? No, because in the Middle East, Christians have been eradicated in a forced de-Christianization. Theresa May called an emergency Cabinet meeting following this morning’s attack. It’s rather pointless. No western leader will do anything about the immigration policies that have led to the current situation. Even President Trump is backing away from the promises he made before the election. Was the British Empire a good or bad thing for the world? To put it another way, is freedom a good or bad thing for the world? Historian and author H.W. Crocker III explains why we may want to rethink the British Empire’s bad rap. Americans are starting to pile up more credit card debt than ever before. According to a new study released Monday, U.S. consumers added $33 billion in credit card debt during the second quarter of 2017, making it the second-highest point of debt since the end of 2008. Margaret Thatcher defined socialism as “equal shares of misery for all,” the best definition I’ve ever read of the economic theory and subsequent reality. The following is a more matter-of-fact explanation that I got when I googled “socialism,” looking for the exact definition. Basically, what it’s saying is that government controls everything and it’s a stepping-stone to communism. Keep in mind that Marxists believe that, when communism is achieved, everybody lives in paradise – although, of course, they don’t actually believe in paradise, heaven or any other nirvana. The reality, of course, is that people actually live in hell. The best example of communism today is North Korea, where everything is controlled by the government, even thoughts. Another example is Cuba, where almost everything is controlled by the government. China is not a very good example. Not any more. Whereas the government still controls every thought, the economy is more of a free for all. So long as you keep your mouth shut, you can be a millionaire! 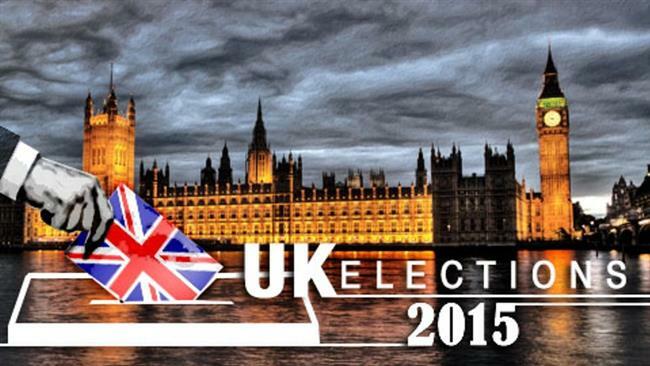 Until the latest British election, many people thought socialism was dead. Mrs. Thatcher herself had rolled back socialism in the UK and helped the nations of Eastern Europe send the communists packing. But the latest election in the United Kingdom showed that socialism is alive and kicking – and may even be the next government. Why the appeal? Because when people feel the inequities of capitalism, they naturally favor the opposite, thinking everything will be put right by the firm hand of government. Somebody once said that “conservatives believe in the exploitation of man by man; while socialists believe the exact opposite!” Think about it before moving on! Venezuela has been in the news a great deal over the last few days. There, an incompetent socialist government has destroyed the nation’s economy. An attempt was made by a member of the country’s military to overthrow the government. The sight of the helicopter flying over the capital city of Caracas brought back memories of a similar situation in Ghana almost 40 years ago. Ghana is a case study in the failings of socialism, well-meant but a disaster. Ghana got its independence from Great Britain in 1957. It was the first black African country to receive independence, first because it was the most promising, with the greatest number of highly educated citizens and the most money in the bank. Within four years, it was bankrupt and a dictatorship. Eventually, the military had to take over to save the country. A second attempt was made at democracy, which also failed; the military then took over again. Whereas the politicians were generally well educated, military men were not well-versed in running an economy. Soon, there was a high rate of inflation and serious shortages. These led to a coup on June 4th, 1979, a coup my wife and I experienced first-hand. The helicopter flying overhead, filmed by somebody on a balcony, reminded me of how Diane watched a similar scene during Ghana’s coup. In Ghana, the helicopter opened fire and she quickly went indoors. At the time, I was trying to get back to the house using side roads to avoid the fighting. At one point, I was held up at gunpoint by rebel soldiers who wanted to take my car. He immediately started setting things right, freezing the price of eggs at 8 cedis a dozen and controlling the price of beer, two priorities! The problem was that farmers could not produce eggs to sell at that price as chicken feed was too expensive; with beer, there was a shortage of hops. I thought that a national shortage of beer would lead to revolution fairly quickly, but I was wrong. Ghana remains the only African nation I know of that did not experience civil unrest when the beer ran out! Serious shortages became a major problem. Supermarkets had next to nothing on their shelves. Basic commodities could only be obtained through barter – I remember bartering shirts for gasoline and toilet paper for rice! As the economy went into freefall, so the government was made more oppressive. Foreigners were blamed for just about everything – in August, we were told to leave the country. Elections had been scheduled before Rawlings took over. Under pressure, he allowed them to go ahead and a new, still socialist, government came to power, led by a nice man who was also an alcoholic. At least beer was now available! Eventually, he was overthrown and J.J. was back, followed by even greater economic disaster. It wasn’t until Rawlings started to reverse socialism and encourage free enterprise that things started to improve. Government control of the economy = disaster. Mrs. T got it right! So why is socialism “in vogue” again? The rising gap between rich and poor is one answer; another is the youth vote – most young people have no memory of when Europe was largely socialist. As Winston Churchill once said: “If you’re not a socialist at 20, you’ve got no heart; if you’re still a socialist at 30, you’ve got no head”. In I Samuel 8 we read an account of how Israel wanted a human leader like all the other nations around them. God warned the people that it would mean greater financial hardship, as government would constantly expand and the people would have to pay for it. The warning was of 10% taxation. Today, taxes run much higher. That’s exactly what Jeremy Corbyn of Britain’s Labour (socialist) party is promising the people – more taxes to help government expand. That’s what Venezuela got with Hugo Chavez, the socialist president who presided over the collapse of the country’s economy. 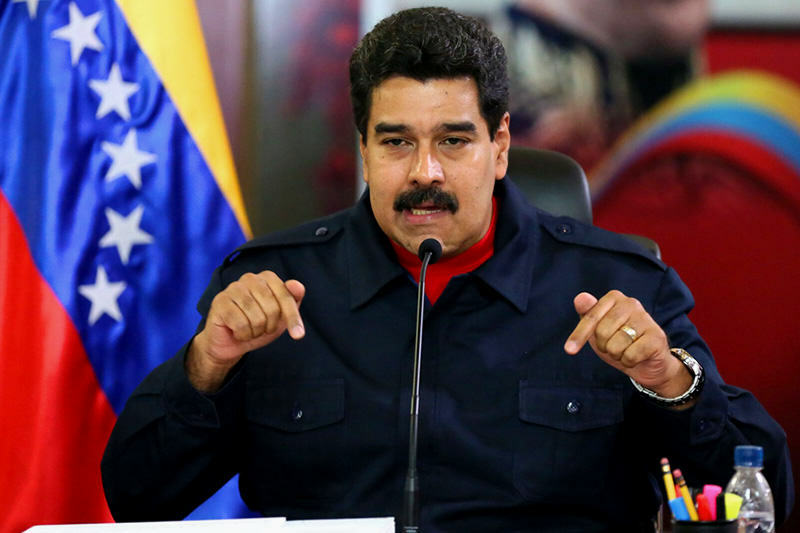 His successor, Nicolas Maduro, has not been able to improve things. The great lesson here is: there’s a lot of evils in capitalism, but don’t think government will make things better! 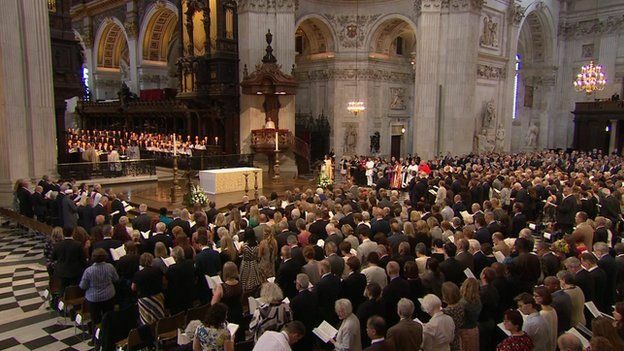 A Service of Remembrance was held in London’s St. Paul’s Cathedral today, to commemorate 7/7, England’s 9/11. It came just eleven days after another terrorist attack in Tunisia claimed the lives of thirty British tourists. Ten years ago exactly, 52 people were killed when four home grown Islamic terrorists blew up three subway trains and one bus. Dozens more suffered life-changing injuries. At times, the service was deeply moving. In attendance were Prince Andrew, the Prime Minister David Cameron and his predecessor, Tony Blair, who was prime minister when the attacks took place, together with his wife, Cherie. Family members of the deceased filled the great church, built in the late seventeenth century following the Great Fire of London. London is, arguably, the most multicultural city in the world. The deceased were drawn from different cultures and different religions. The perpetrators of the atrocities were all Muslims, born in England, and all from fairly affluent backgrounds. Their actions were not motivated by poverty or lack of opportunity. The Bishop’s comments were thought-provoking. Some might disagree with some of what he said. He talked of our “cosmopolitan civilization, which is becoming a global reality,” when, in truth, it really isn’t. The suicide bombings that were being commemorated were the acts of second generation Muslims. The countries their families came from are not cosmopolitan. They do not allow westerners into their countries except on short-term contracts – they certainly cannot settle and become citizens no matter how long they stay. Britain and other western nations allow immigration from the Middle East and grant citizenship, thereby encouraging a cosmopolitan society, which clearly has its challenges, when young citizens, far from appreciating the country their parents moved to, instead try to kill as many of their fellow citizens as possible. He also talked of the “universal concepts of tolerance and respect.” Sadly, these are not universal concepts. They are concepts that developed over time in Protestant countries, when the proliferation of different sects necessitated learning to live peaceably alongside each other. They are western concepts. They do not even extend to Eastern Europe, let alone to China, Russia or even Japan. The bishop’s remarks highlight the great gulf that exists between the West and the Rest. Multiculturalism is largely one-sided, with people in the West having to bend over backwards to accommodate other cultures that have moved into their territory and are now demanding they get their own way. And, when they don’t, they will blow other people up to make a point. It’s not surprising that a BBC straw poll taken on Saturday, found that 95% of British people say that multiculturalism is not working. Further, today’s British papers quote the ex-head of British Counter-terror as suggesting that it’s time for the British government to provide charter flights to Syria, encouraging homegrown jihadists to fly out and join ISIS, after surrendering their passports. This is, finally, recognition that many Muslims in their midst will never show the tolerance and respect that living in Britain requires.